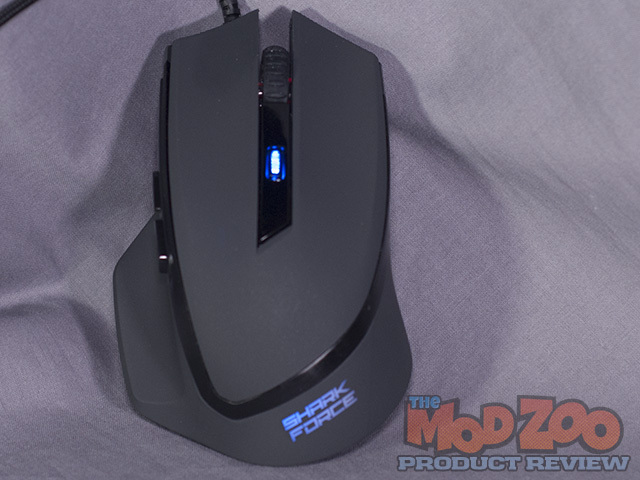 From start to finish, my experience with the SHARK Force mouse was surprisingly pleasant, given my previous experiences with mice in this price range. There is a solidity to this mouse and an attention to detail, from the rubberized finish to the mesh wrapped cable, which speaks of Sharkoon wanting to give nothing but the best to their customer. All in all, Sharkoon jumped into the budget mouse arena feet first making a HUGE splash and did so with no apologies. This is a mouse that you should be happy to pay at least twice the asked amount. As subjective an experience as getting a new mouse can be, sorting the wheat from the chaff is an intensely personal experience, one that means you can never really take the word of another without doing your own research. For what it’s worth, however, I can say that for the going price of €10.99, this mouse was an amazing surprise and is one that I will be purchasing a few more off to keep in the closet. Also, courtesy of Bill Owen and MNPCTech, you have a chance to win this mouse, as well as an NZXT H440 case and a selection of modding supplies straight from MNPCTech.com! Check out this forum post for details! Without a doubt, the Sharkoon SHARK Force gaming mouse is ModZoo Approved! I would like to thank Sharkoon for providing the mouse for review and look forward to working with them in the future! I had opportunity to try out this mouse, and was amazed at the quality you get for low price.Thank you for a very thorough Review! Nice review Jeremy, this thing looks really good for the price. Also would like to point out that I think you’ve got the height and width round the wrong way. it is 124mm (~4.9 inches) long, 76mm (~3 inches) tall and 40mm (~1.6 inches) wide. I’d say that this pretty much covers most of Sharkoon products in my experience of them, budget, but good for the budget price. Although avoid their headphones. That’s the one sharkoon product I’ve been really disappointed with in the past. What does the top pcb look like? Just wondering how easy it would be to mod it and move the dpi button, as I always find that position is no good for changing the dpi on-the-fly.